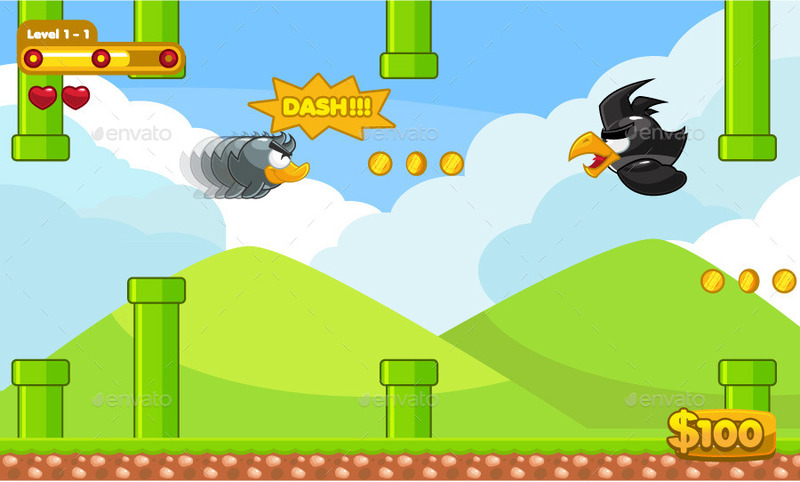 Flappy Duck Game Assets for 2D flap-flap game / tapping screen game. The files are vector ai, vector eps and transparent PNG. Separated by group and folders. 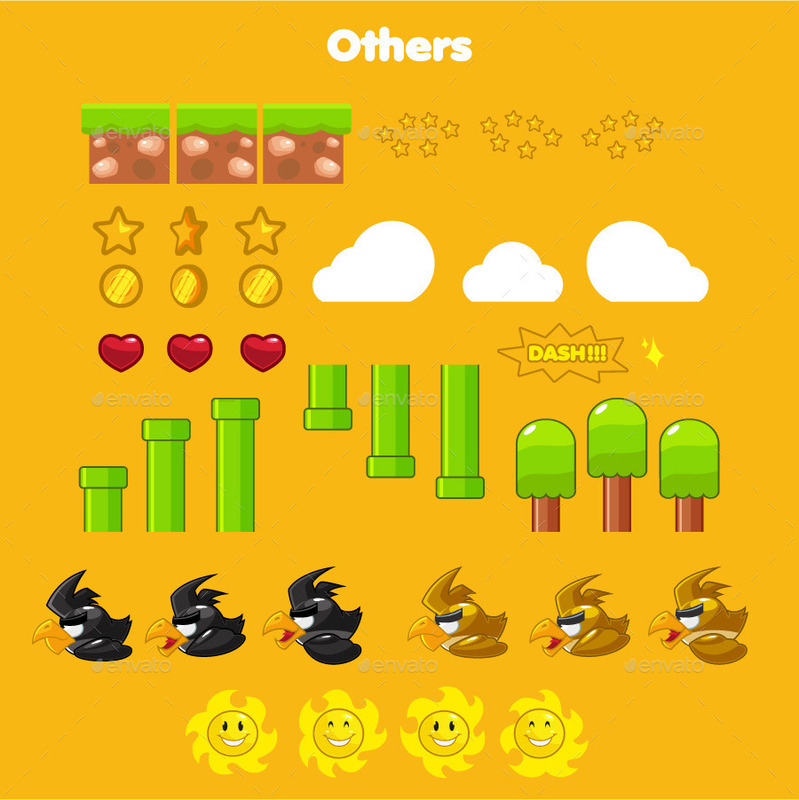 - 4 Duck character sprite sheets. 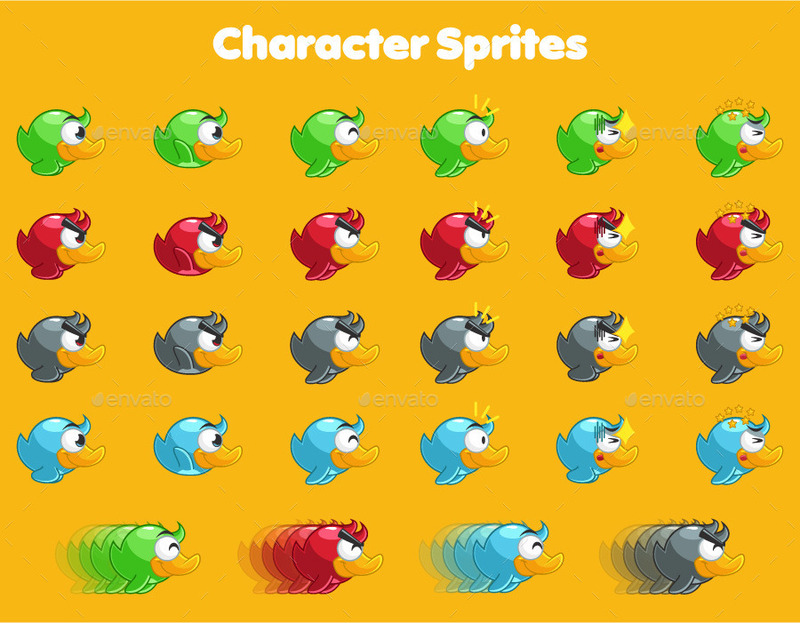 - 3 enemies sprite sheets. - Customizable item, tile set and background. - simple for editable and reziable GUI set.